Friday, 29 June, 2018, feast of St. Peter and Paul. During the Mass Grand Prior Chevalier Nick De Luca invested Brendan Caunce and Madeleine Macoboy into the Confraternity. 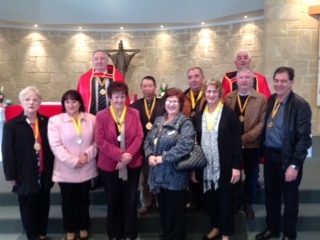 The investiture ceremony was held on Sunday, 29 June, 2014 at the Parish of the Good Shepherd' in Lockridge, Western Australia. The first photo is of the investiture of the new members. They are Mary Said, Margaret Wellington and Dr Dagmar Barnes, together with our priest Father Francis Ly. Mrs Tina Russo was unable to attend the ceremony. 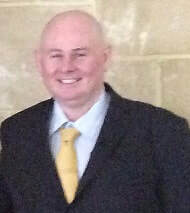 Marijan Ljubicic, Gerard Murphy, Frank Natalotto, Charlie Portelli, Antonio Sanfilippo, Neville Watson, Graham Pittaway, Patrick Hopkins, Michael Meerward, Thomas Ban, Roger Kiely, Jill Hall, Margaret Horrocks, Nuccia De Luca, Peter Qua, Silvia Puntel, Roberto Puntel, Corrado Perona, Salvatore De Luca, Tom Foong, Marion Foong.